with a small labral tear. 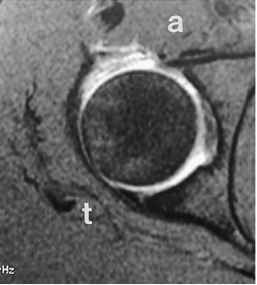 (B) MRI with possible posterior labral tear (t). 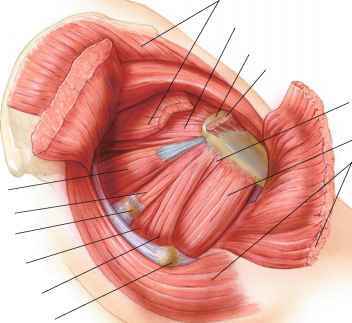 Given the findings of a posterior ganglion, suspicion for labral tear was heightened. A possible posterior tear was noted on the axial MRI image, and this was confirmed arthroscopically. a, anterior.